Preston’s Scott Fitzgerald meets Anthony Fowler in the biggest fight of his career in March. 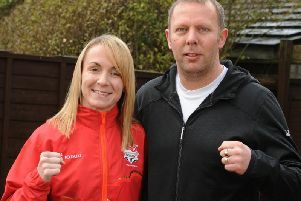 The pair have gone from Commonwealth Games gold medallists and GB team-mates to bitter domestic rivals in recent months. Find out all you need to know ahead of the big fight below. The eagerly-anticipated super-welterweight clash will take place at the M&S Bank Arena in Liverpool on March 30. What is on the line? Plenty of pride and bragging rights, the pair having both won gold in Glasgow in 2014 before the relations between the former GB Boxing team-mates turned sour in recent months. 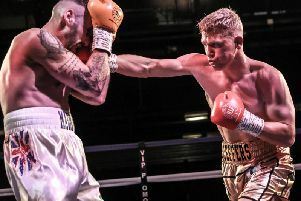 The man who comes out on top is also slated to move straight into another big fight, British champion Ted Cheeseman a likely opponent despite his defeat to European ruler Sergio Garcia on February 2. What have the fighters had to say? It will be broadcast live on Sky Sports in the UK and streaming service DAZN in the US. The Matchroom Boxing card in Liverpool is headlined by home favourite and former world champion Liam Smith’s meeting with Sam Eggington at super-welterweight. Elsewhere Joe Hughes and Robbie Davies Jnr meet for the European and British super-lightweight titles and Liverpudlian heavyweight David Price is in action. They can be purchased from Fitzgerald directly by contacting ScottFitz91 on Twitter and Instagram. Tickets are priced £40, £60, £100 and £200.